Frances and Holly are here to help give you the inside track. 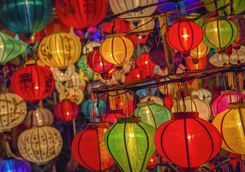 The exotic east is perfectly captured in this 13-day tour that weaves Cambodia and Vietnam together. 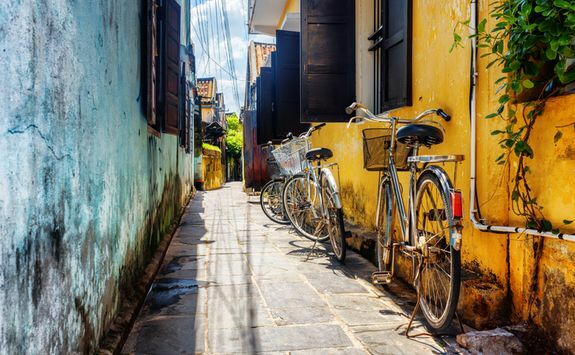 From unraveling the mysteries of Angkor Wat's majestic temples to lapping up beach life in the UNESCO lantern town of Hoi An; this fabulous adventure blends active exploration with gentle relaxation. 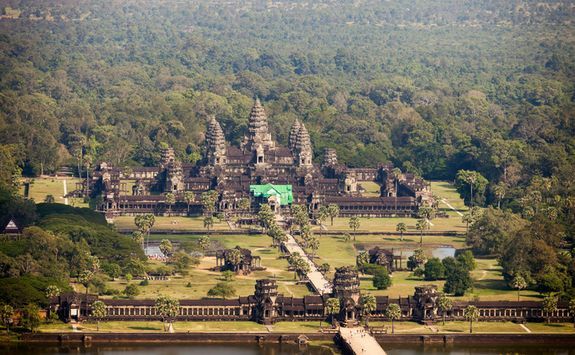 Leave the Big Smoke of London behind as you jet off to Siem Reap in cool Cambodia. As it's an overnight flight it's the perfect chance to get some shut eye. 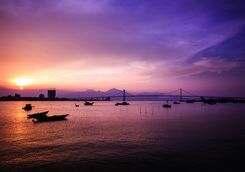 Most flights will connect through one of the buzzing and vibrant major cities in South East Asia giving you your first taste of the exotic east. 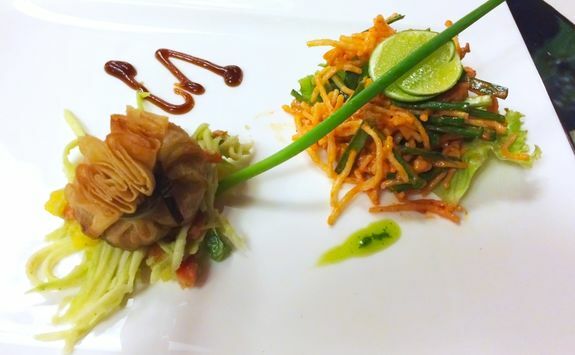 Siem Reap welcomes you. 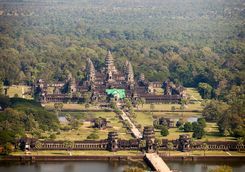 Cast a quick glance out the window as you land and see for yourself the dense jungle palms hiding the mythical temples of Angkor Wat. 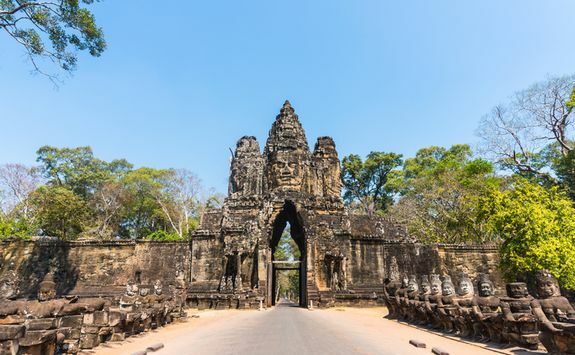 Siam Reap is the cultural heart of Cambodia, a place where adventurers flock to admire real life mythical sights and where five-star resorts and sublime spas wait to pamper weary travelers. A private transfer is waiting to drive you to your hotel for a day of sheer relaxation beside the pool. 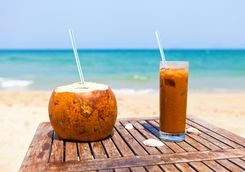 Top Tip; opt for the VIP arrival service and a personal immigration officer will be waiting to whisk you through the visa process without the need to queue. That means your cocktail beside the pool will come even quicker. 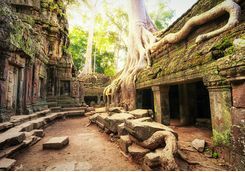 This morning, enter the sacred site of Ta Prohm. The temples in the forest are amazingly atmospheric, especially when misty light filters through the trees. The jungle yawns behind the so-called Tomb Raider temple seeming to swallow it right up. 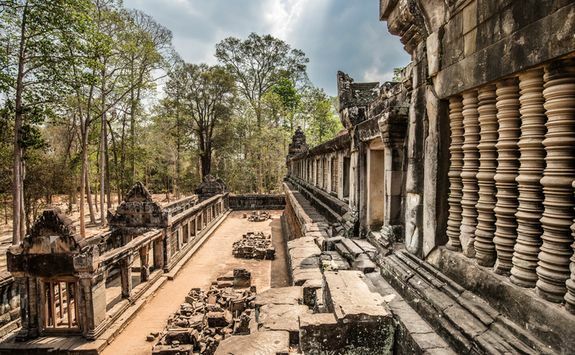 You may feel inclined to race around like Indiana Jones, but we suggest meandering slowly from the temple Ta Nei to Ta Keo. 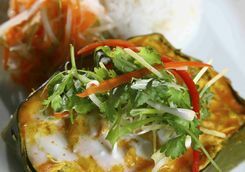 Head back to Siem Reap for lunch, we know scores of stunning little eateries we can happily recommend. 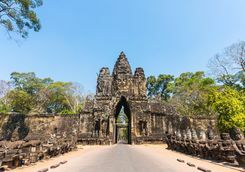 The afternoon is for exploring Angkor Thom. 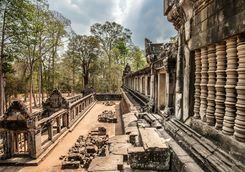 As a unique treat we have organized a photo scavenger hunt of the 12th century wonder - encouraging you to snap the finest shots of the last capital of the Khmer empire. 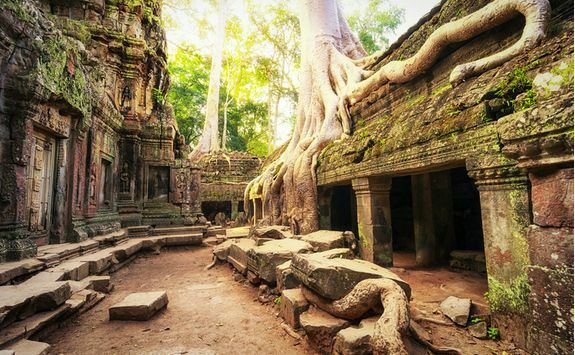 Top Tip; Hire a bicycle for your morning tour of Ta Prohm to cover even more ground. 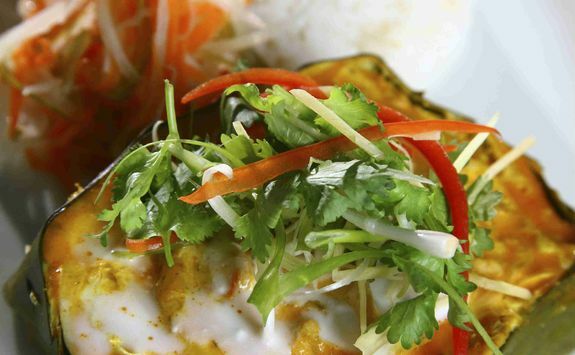 In the bright light of morning, seek refuge beneath the shady bamboo grove for a private Khmer cooking lesson. 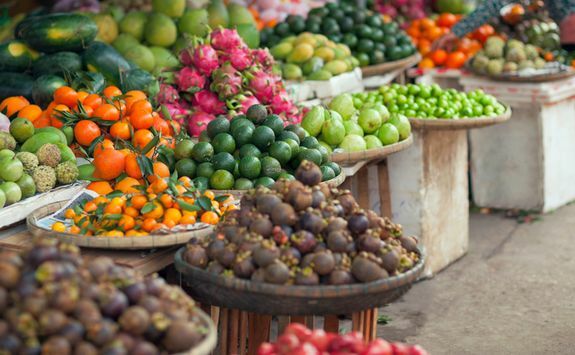 Take a walk to the nearby village to meet a local family who will be more than happy to share their foodie folklore stories and tips. 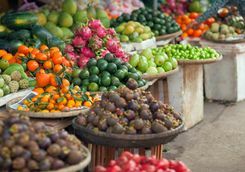 Fragrant herbs, a splash of spice, and market fresh produce - under the watchful eye of your chef you can curate a traditional feast. 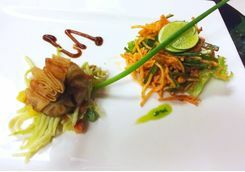 Afterwards, dine on your dreamy creation in a private stilted pavilion hovering above the lily pond. Take the afternoon at leisure and when the sun sets prepare for the color and chaos of the Cambodian Circus. Flying acrobats, tightrope walkers, sound and light- this truly is a magical show beneath the stars. 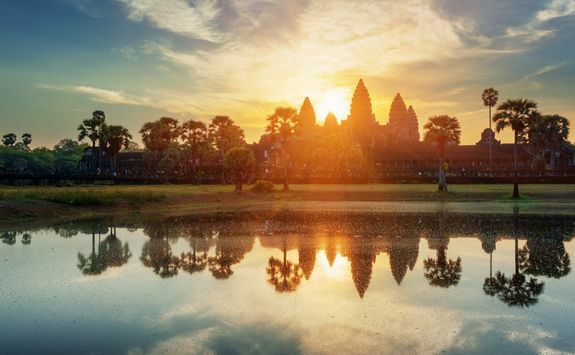 Beat the dawn to Angkor Wat for the chance to witness the sun spilling her first light across the lotus towers. From heavenly nymphs to ancient stories, wide stone walkways and sheer walls, there is so much to explore. 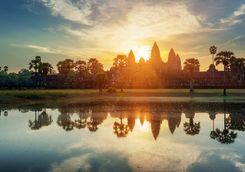 Return to Siem Reap for breakfast knowing that one of the worlds greatest adventures has been ticked off your bucket list. 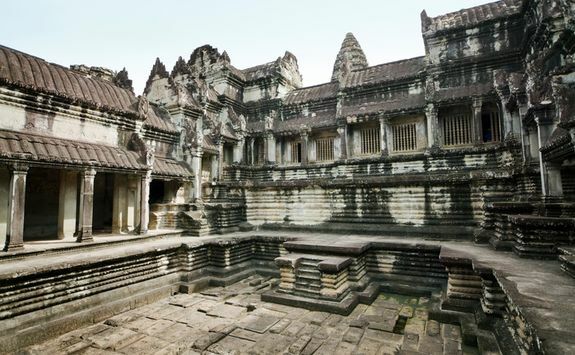 This afternoon, leave the confines of the temples and head into Cambodia's rural wild. 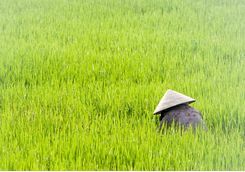 Let local experts guide you through cascading rice paddies on a truly off the beaten track adventure. An ox cart ride will take you through hidden villages and a small boat will ferry you to a country villa for sunset drinks and a private dinner. 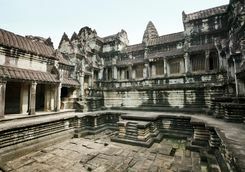 Enjoy your final morning in Siem Reap with one last dive into the pool or a stroll through the chic town. This afternoon board a 1.50-minute flight that will take you to Danang in the heart of Vietnam. 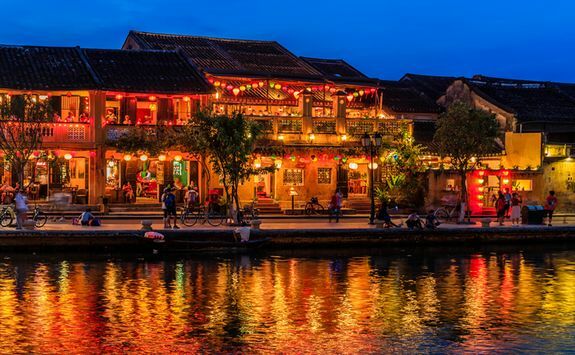 As soon as you touch down, a representative will be waiting to take you on a scenic 50-minute drive to the beachfront lantern town of Hoi An. 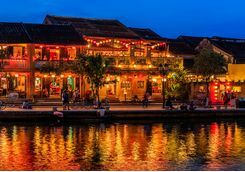 Hoi An is one of Vietnam's World Heritage gems boasting beautiful French buildings, dozens of tailors, colorful lanterns and markets, and a traditional Japanese bridge arching over its river. 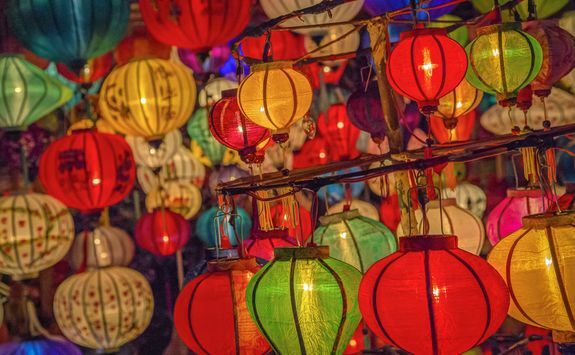 Visit the night market or simply sleep to the sound of the sea this evening. 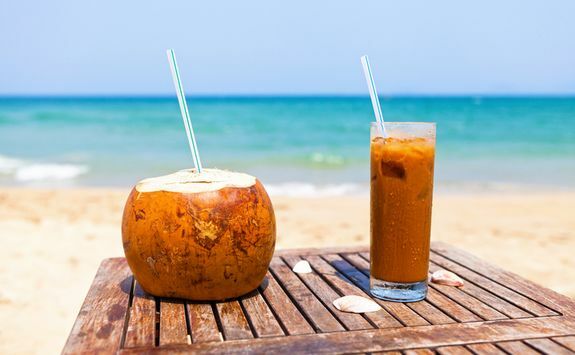 Spend the morning sipping freshly hewn coconut water on the sugar soft sands of Hoi An. Around 2pm your tour of the ancient town starts with a visit to a traditional paper mask workshop. Meet a revered local mask artist, and under his instruction you can even paint your own folk mask. 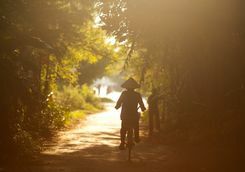 Afterwards, duck into a small traditional theater to witness another of Vietnam's important artforms- where the actors rely on the use of masks to represent their roles. Today leave the tang of salt air behind as you head into the highlands. 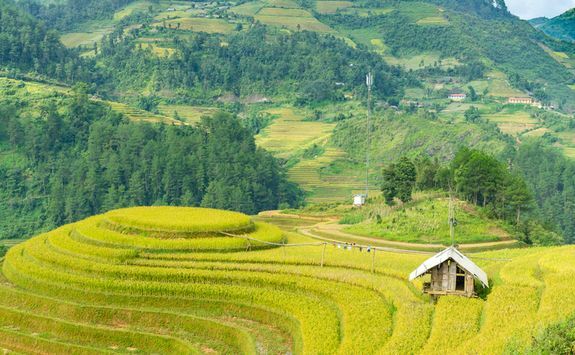 Endless shades of green are waiting in the mountains of Truong Son where the air is cool. 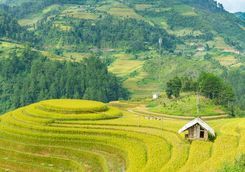 In your vintage jeep you can cross vibrant rice paddies, elevated heights and rural roads. Make a stop at a tea plantation clinging to the side of the hills. Afterwards, visit Ba Hom - the hill tribe home of the ethnic Co Tu people. 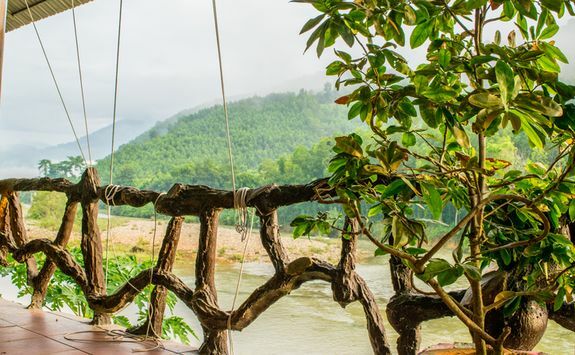 Get a rare glimpse into tribal life as you tour the stilted houses. 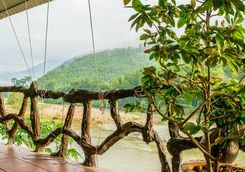 After a picnic lunch beside a river, you can journey on the fabled Ho Chi Minh trail to dip in the hot springs before heading back through the changing colors of evening light to Hoi An. 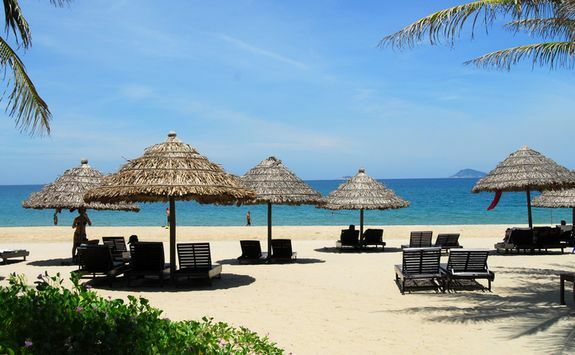 Take the day to soak up some R&R on the blissful beaches of Hoi An or chilling out back at the hotel. With a large pool for splashing - families can happily escape the humidity of the late morning sun. Parents wanting to duck into the spa for a little extra R&R can even use the babysitting service. 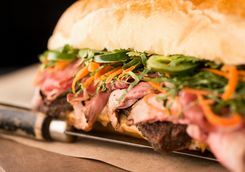 This afternoon if you can bear to tear yourself away from the warm sands, head into Hoi An to peruse the market, munch on the famed Banh Mi from Madam Phuong, and pick something special from one of the tailors. 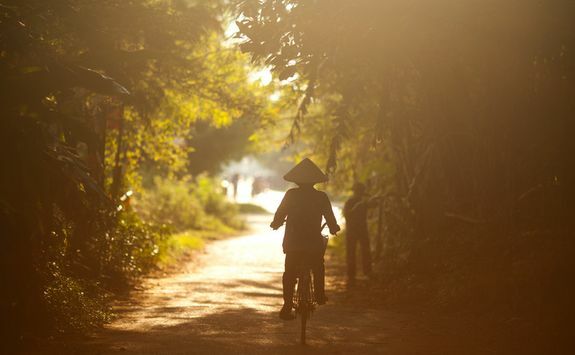 Bright and early hop onto your bicycle for a morning excursion through the gentle countryside. 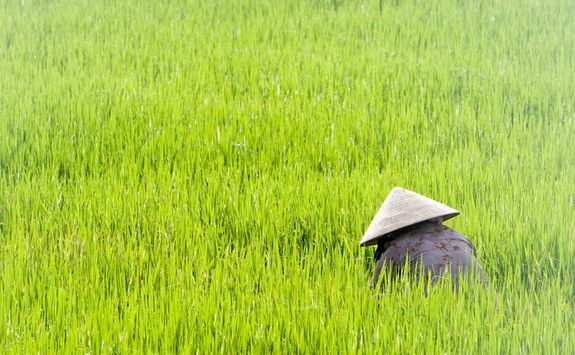 Country roads weave by rice paddies, and picturesque farms. 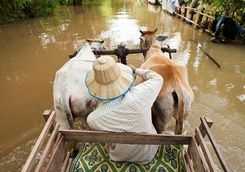 Water buffalo lounge beside shimmering waters and friendly locals smile from beneath their leaf hats. 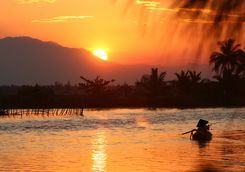 Stop by a small Vietnamese village to meet some local fishermen. Climb into one of their traditional round baskets and float out onto the waters where you can cast a net. 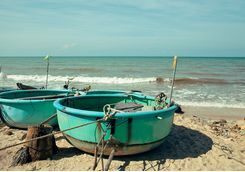 After a mini fishing excursion and tour of a coconut tree area, you can rest those weary legs with a scenic boat trip back to Hoi An enjoying a fabulous seafood lunch on deck. 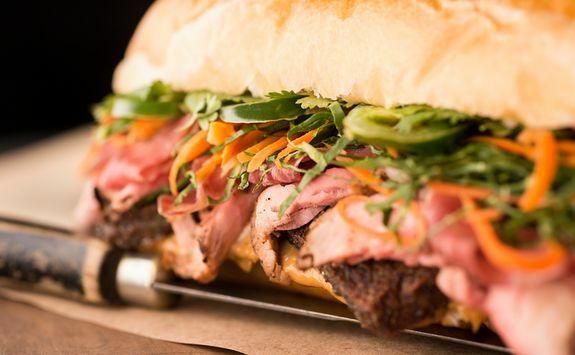 This afternoon is yours to spend at leisure. An early morning visit to the bustling Cua Dai Market on the banks of the Thu Bon River will set you up for a traditional cooking lesson. 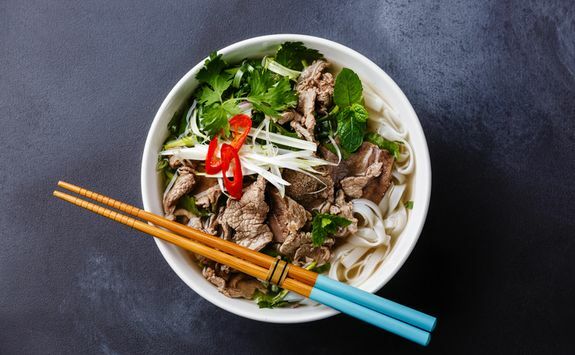 Learn the art behind making a good bowl of steaming Pho. 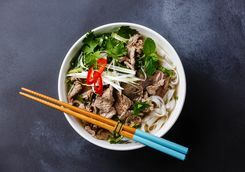 From hand-rolling the noodles to brightening the broth with ginger and spice, you can chow down on the most delicious dish made from your very own hands. 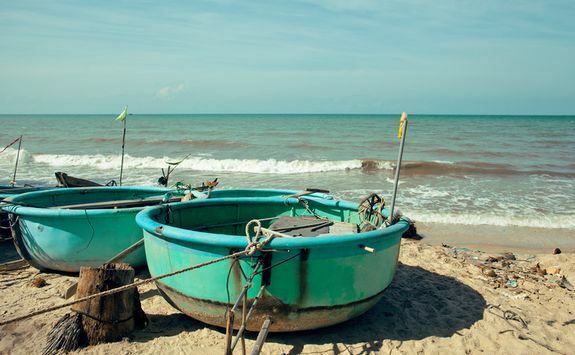 After filling up on Pho, head back to the beach to laze in the sun and watch the fishermen pass by. 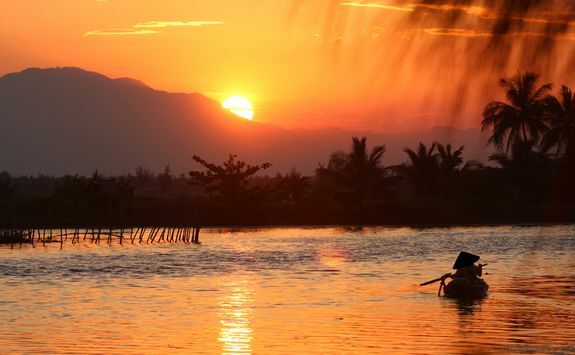 Make the most of your last day in Vietnam. With no activities planned you are free to spend the hours as you wish. Splash in the sea, cycle into town, and catch up on that last-minute shopping. 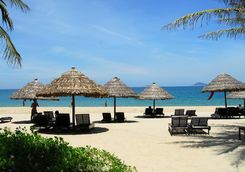 After a relaxing morning in the sun, its time for your private transfer back to Danang Airport for your return flight. Once more, a red eye flight to London invites you to don those ear plugs and settle down for some shut eye. 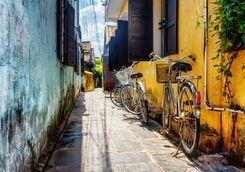 Frances and Holly are our experts for this itinerary and as seasoned travellers they have the inside track on the most memorable adventures.